A good implementation of the curriculum DaVinci results in clarity and determination with the teachers. This influences the children in a positive way. Time and quality are effectively intertwined in the curriculum. 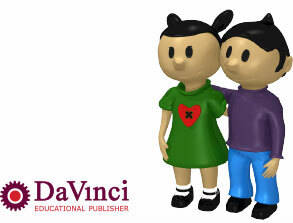 DaVinci can help with implementing the curriculum in the school. Education with a strong vision: how to combine the vision of the school with Science and History from organizational, pedagogical, and didactical viewpoints. The duration of a seminar is 3 hours and costs € 745. This includes a pre-screening, travel time, and preparation. Seminars are custom made and adapted to personal wishes. A seminar can also be combined with a team-training. The costs are € 1195, instead of €1490, for one day (6 hours).